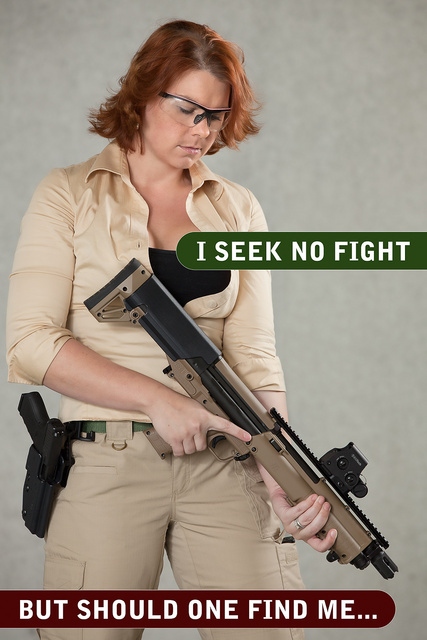 Nobody wants to get into a gun fight, even if victory is assured. De-escalation of conflict is taught and practiced almost religiously. The number of homicides outside of drug-related gang warfare is essentially statistical noise besides the massive number of guns and gun owners in America. That, in my humble opinion, is crazy. It’s the talk of a violent, entitled narcissist. And I see nothing wrong with the evolutionary pressures being stacked against such attitudes in the long run. It used to be that fairy tale princess had to count on a knight or a friendly supernatural creature to ward off trouble. Today’s princess — or wench — can have a handholdable dragon that knows more tricks than just breathing fire. That’s hard on the goblins — as it should be! This entry was posted in pistol, rkba, self-defense, shotgun, weapon and tagged 12ga, bullpup, keltec, woman. Bookmark the permalink. What is that dragon? I’m guessing a shotgun from the amount of muzzle blast. 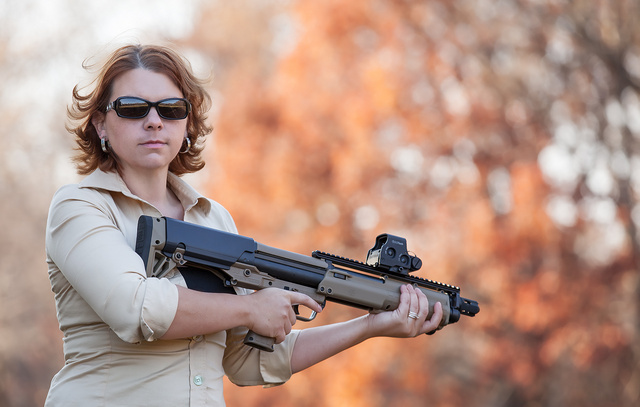 Keltec KSG with Rio plastic birdshot (for riot control). 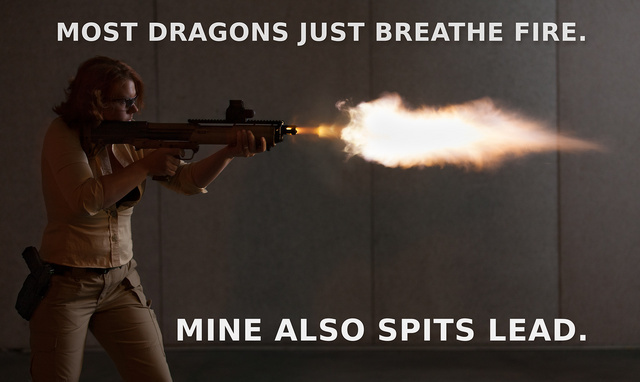 So, your dragon also spits . . . polyethylene?